Let me show you how Destin and Fort Walton real estate can be the dream you have been seeking. In Destin, our gulf paradise offers exquisite white sand beaches with stunning views, outstanding golf courses and world-class fishing is just the beginning. Destin is a mecca for connoisseurs of fine food and shopping. Destin offers something for kids of all ages. 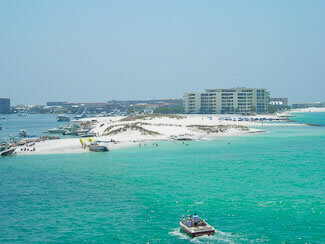 We consider the Destin area real estate to include Destin, Sandestin, Valparaiso and Niceville. Local property types are homes, beach condos, waterfront property, resorts and land.